What is Holy Fire Reiki II? — INTUITIVE HEALING,REIKI, WELLNESS, COACHING. 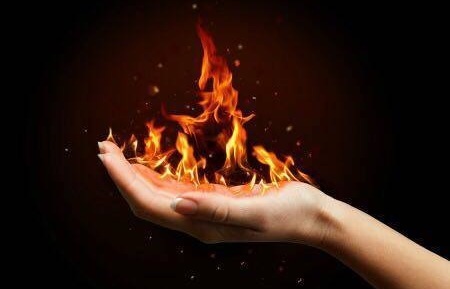 The nature of Holy Fire Reiki energy is that it is continually evolving and developing. This takes place within each student after the training. In addition, as our Holy Fire Reiki energy develops, we become ready for major upgrades that are transmitted during a Holy Fire class. A new upgrade is ready to be transmitted. This will take place during a webinar making it easy for all Holy Fire Reiki Masters to receive it. You will be able to receive it live during the webinar, but if you are not able to attend, you’ll be able to view the webinar video recording anytime by going to the webinar web site to receive the full experience by watching the recording. You will also be able to review the webinar as many times as you want. The upgrade of your Holy Fire energy will take place during the webinar. This will happen during a special Experience in which additional blocks or issues you may have are released and you will be connected to a higher level of the third heaven. This will further refine and improve the quality of Holy Fire energy you have within you and that you are able to channel when you give Holy Fire sessions to yourself or others and also when you teach. The Experience will be administered directly by the Holy Fire and will be designed uniquely for each individual, providing an upgrade that is exactly right for you. This upgrade is a new level of Holy Fire Reiki called Holy Fire II. During the webinar a special Experience will be conducted. This will prepare you to receive the ability to give Placements. The preparation will involve the removal of the energies and methods you previously used for attunements. During the same Experience the ability to give Placements will be installed. The energy your students receive with when you use Placements in your Reiki classes will come entirely from the Holy Fire and will be of a higher vibration than that received from attunements; it will be more refined and be a more effective healing energy. This has been demonstrated in Holy Fire II classes I have been teaching. Additionally, it will have a stronger uplifting effect on the student and provide many spiritual benefits. It is important for you to know that once you take the webinar, you will no longer be able to give attunements and will do Placements instead. If students ask if you give attunements or otherwise ask about attunements, just tell them that, “What used to take place during attunements now takes place during what we call a Placement.” Or to simplify your explanation you could say that “Yes we do attunements, but we now call them Placements.” Also, let them know that this is a more refined and effective experience that will give the student a noticibly improved level of healing energy. They will feel more joy, peace and happiness and be able to impart this to their clients. After this webinar, you will be able to give Placements to your students instead of attunements, when you teach Reiki I, Reiki II, Reiki I&II and ART. In addition, you will receive the ability to pass on the ability to do Placements to your students in the Master classes by using a new version of the River of Life Experience. These procedures will be clearly explained in handouts which will be available once you sign up for the webinar. You'll use the current manual as your class manual along the new handouts that will replace the attunement sections in the manual. Eventually new manuals will be completed and be available. It is anticipated that the new manuals will be available in February or March. When teaching Reiki I&II, since the student isn’t given Ignitions, or given the Holy Fire symbol or taught how to give Experiences and Ignitions, and is just taught how to use Reiki I&II, the previous I&II, Reiki, The Healing Touch manual is still used. You must be a Holy Fire Reiki Master that is registered with the International Center for Reiki Training and listed on their Holy Fire Reiki Master list.